Looking for some cheesy, creamy indulgence without all the guilt? My version of this Mexican favorite stays healthy by using low fat, high protein yogurt and fiberful brown rice. Smokey, roasted poblano peppers add a mild heat which blends perfectly with the sweet corn. Combine the creamy chicken and rice with my easy, zesty Mexican black beans and you have a complete, healthy, and delicious meal! -allow to cool, serve, and enjoy! -if you like it hot, add a few dashes of hot sauce! -serve warm as a side dish, and enjoy! This recipe came about when I took some of my extra goat cheese enchilada filling and mixed it with some brown rice for a quick lunch- it was a delicious success! -Never roasted a pepper before? Check these out: stove top roasting or oven roasting. 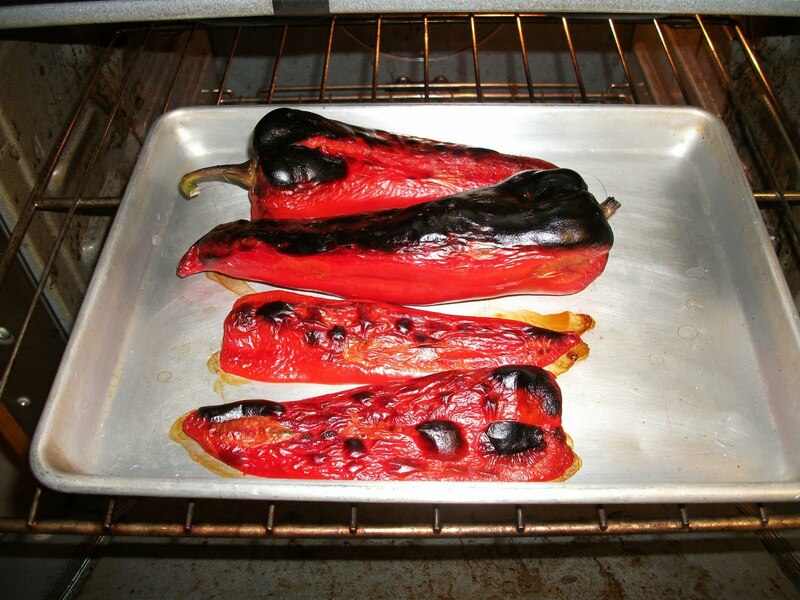 -If you are still nervous about roasting and removing the skins of the poblanos, skip those steps! Remove the stem and seeds, cut the peppers into 1" slices, and cook with the onions, garlic, and jalapenos on the stove top. It will taste just as good, just a little less 'smokey' flavored. -Can't find poblanos? Use 8 oz. of canned, chopped green chilies. -No goat cheese? Cream cheese will work just as well. -Try red beans or pinto beans instead of black beans. -You can also use cheddar cheese or Mexican Chihuahua cheese instead of jack cheese. -Instead of chopped tomatoes in the beans, add some chunky salsa instead! -Leave the chicken out of the rice dish for a tasty vegetarian meal! -Leftovers? Mix the beans and rice together, roll it in a tortilla shell, and cover with enchilada sauce! -If you like your rice extra creamy, add an additional 1/3 cup of yogurt. -Can't find plain Greek yogurt? Use low fat or fat free sour cream. -Don't need so much? Cut the recipe in half! -Want to kick up the heat of your beans some more? Add in a diced jalapeno! -Take a shortcut and use a store-bought whole roasted chicken. Just shred up the breasts! -Make both dishes in advance and place in the fridge up to 48 hours before eating. Don't cook the rice in the oven until you are ready to eat, increasing the cook time by 5 minutes to make sure it's warmed through. Reheat the beans on the stove top or in the microwave.